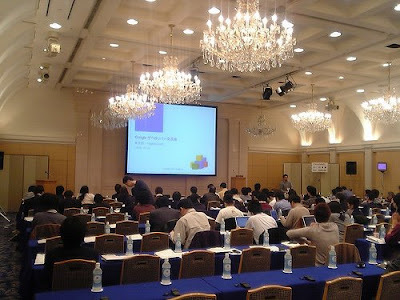 At 14th March, I have participated in the Google JAPAN's developer roundtable as a panel member. The the great venue was the Aoyama Diamond Hall, Omote-Sando. I introduced the Dokoiku's experimental OpenSocial container implemented with Shindig.